The delicious 1 kg ​Pure Eggless butterscotch cake will delight your loved one..
it can be deliver same day across jaipur. For further query please call +91 8824967744. 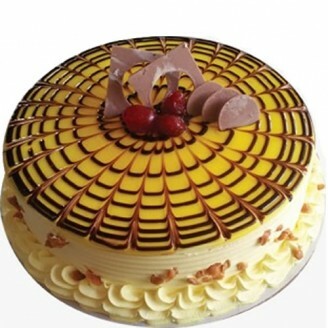 You can also send us an email at giftcreation@giftjaipur.com.